Humans are visual creatures. We take pictures of everything that we possibly can, the largest and most distant objects in the universe are no exception. Man, that is FAR OUT! We’re SO good at doing this with galaxies, that we wind up with more data and images than we have the professional astronomer manpower to study in detail. Computers are good at sorting data on a certain level, but lack the reasoning nuances and pattern recognition abilities of the human brain. Fortunately, most of us have brains and some clever people of science have come up with a way for any brain-wielding human to help. For no money, you can have fun, make a contribution to science and maybe even be the fist person to ever lay eyes on a new galaxy. What’s even better is that you need ZERO science education to do this. If you can play checkers, you can handle this. 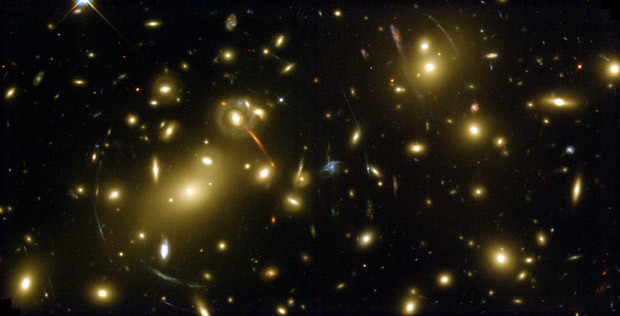 What started as The Galaxy Zoo has blossomed into the Zooniverse. There are many projects available now, but Galaxy Zoo is still going strong. I think being the first person to see a galaxy, help classify it and contribute to some very cool science should cost more than free, but free is the price of admission for this. Even cooler, you might find something totally new! It even looks like a Voorwerp. Don't you think? When you get bored with Farmville, why not give this a try? Citizen science is amazing in a thousand ways, but when it becomes highly user friendly and even fun, I think it’s perfect.